JAN 31, 15 .. HOT DOG(S) IN HONG KONG ..
SUBTITLE: Cap .. Tell us what it is you so LOVE about Hong Kong! Having mentioned Hot Dog(s) above in the formal title of this Post .. I am willing to bet that all of you are sighing and thinking to your respective selves ..
More photos of Cap and his Phantom Of The Opera Hot Dogs! Since you mentioned my Phantom Of The Opera Hot Dogs .. Why not show you another photo or two of them? With Tomato and Cucumber Slices and Catsup and Mayo above and with MUSTARD! below. Oh Captain! You didn't actually get and eat two of them did you? Burp .. Giggle .. Big Smile .. Yes! After all it is a program of honesty .. Here .. In Hong Kong .. At the Asia World Expo .. These beauties are NOT .. Hot Dogs ..
$68 Hong Kong Dollars (HKD) translates to $8.83 U.S. Dollars. The above $17.66 U.S. it one of the best expenditures of the visit to Hong Kong so far! Now let's all get on to some REAL HONG KONG DOGS! .. And one small Kitty Just For Patti and 'Zilla and Kleiner Bear and any other Kitty Fanciers following along here! Today I was on Nathan Road in Kowloon across from the Chungking Mansions .. When What To My Wondering Eyes Should Appear .. In Kowloon .. On Nathan Road .. directly across from the Chungking Mansions .. We have .. Some Hong Kong Dogs! The Kitty will follow. Did you notice that .. On the left in each of the above photos .. We have a Reindeer Dog with us? I have to admit .. And maybe I should have asked .. But is this a Rabbit Dog? Do you suppose that the above Chinese Characters are telling us what we have here? Moving right along here! If you look closely at the below photo the dog in the center is wearing a very colorful Bow Tie .. It is a really Nice Bow! A close-up of Bow Tie (on the left above) Dog's Coat .. I went back several times over a period of a few hours. The below photo was taken on my final visit. In the below photo the dogs look like they have 'HAD IT'. An afternoon of being the center-of-attention on Nathan Road in Kowloon and they are tired out! As you look at the below photos .. Do you sort of feel like you know each of the dogs? I was happy to drop $20 HKD into the Donation Box. Where is the Kitty that you promised us above?? As you can all surmise .. Little Kitty was NOT the center of attraction. But one little rapt admirer could not take her eyes off Little Kitty! And it just takes one person to find a home! Now it IS a wrap! Gently press Publish Captain! JAN 25, 15 .. HONG KONG .. EBENEEZER'S .. So you all believe that the only thing that I eat when I eat at local restaurants here in Hong Kong are Singapore Rice Noodles. Below is a map of the HOMY INN area here in Kowloon. Ebeneezer's Restaurant on PRAT AVENUE is the focus of this Post. The HOMY INN is on HART AVENUE one street away from and below PRAT AVENUE on the above map. Kind of below the Circle K sign is a line of six red globes located on the front of the building on the left side of the photo. Below the third red globe is the colorful A+ Restaurant marquee. When Patti was here in Hong Kong with me .. we two really enjoyed eating at the A+ Restaurant you see below. On the other side of Prat Avenue is a McDonald's that is located almost directly across the street from the A+ Restaurant. On the left of McDonald's (above and below) we have Ebeneezer's Kebabs & Pizzeria. If you look carefully at the left edge of the above photo you can see that there is an entryway that I show below into a building lobby. Odd how things happen. I went into the Multifield Plaza to use their public restroom. I have done this countless numbers of times because many restaurants in Hong Kong do not have restrooms. To compensate for this shortcoming they have working agreements with neighboring buildings to provide their customers with toilet facilities. Why this entry into and exit out of the Multifield Plaza lobby was different I shall never know. Was it because I was hungry (I was hungry!)? For the first time in over two months of passing by the below scene many times! .. I NOTICED IT! MY! Doesn't this look GOOD! Several additional looks at Ebeneezer's exterior. Because of the above Parking sign one can not get a good straight-on photo of Ebeneezer's! Well! You CAN get an excellent straight-on photo of said sign! Now let's go inside for a look-see! Very nice ambiance indeed. Comfortable. Low Key. What's in a Menu? In my opinion the below Menu says-a-lot about Ebeneezer's! YES! I am going to stay and order a Greek Salad! Waiter! My Good Man! Please bring me an order of your ..
Oh My Patti .. I think you would like Ebeneezer's! I had finished my two entrees and was just chilling out and relaxing when a pair of elders came to join me sitting down at the table on my left. Tall and well proportioned .. The gentleman (John) had just run a 'Half-Marathon'. He and his wife (Connie) had then dropped into Ebeneezer's for a well deserved meal break. And we three began to talk and to talk and to talk some more. 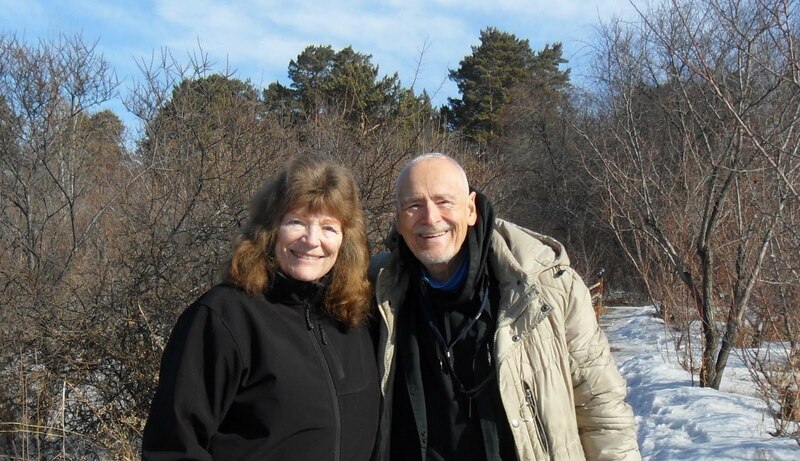 The two of them have been in Asia since 1970 when they left Oregon to venture out-into-the-world. John asked me how I stay-in-touch with Patti. So I dialed up Patti on my cell phone and Patti and Connie and John had a pleasant chit-chat! Connie! Your meal sure looks good! Then Connie 'passed the cell phone off ' to John .. The pen marks on John's left palm are his 'splits' for the 'Half-Marathon' he'd just run. What a very attractive couple the two of them are. If I had to guess I would guess that they are of Scandinavian ancestry. They are in their early 70's. John is a Man-Of-The-Cloth. We three had much to chat about. John and Connie live in the New Territories North of Kowloon. John has learned written and spoken Mandarin and gives sermons in Mandarin. Our meeting and engaging visit of almost an hour has stimulated my interest in going to his town .. Sha Tin .. on the Hong Kong MTR to expand my knowledge of the New Territories and to perhaps renew our new acquaintance. We three agreed that our visit was providential. While in India I often write .. "Do you all see what I love about India?" I may add to my tune! "Do you all see what I love about Hong Kong?" Blogspot is very happy that I have put up a new Post only four days after my last Post on January 21st. Smiles and More Smiles .. Cap ..
JAN 21, 15 .. HONG KONG .. MONG KOK ..
JAN 6, 15 .. HONG KONG .. CHEUNG CHAU ISLAND ..